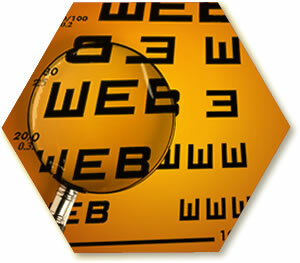 Does your website produce results? A successful Web site should motivate your customer to act, to respond, to buy. Too many sites on the web are put up without considering the following questions: Who are we trying to reach? What message do we really want to convey? How can this Web site help our company to succeed? A common mistake that companies often make is putting up a website without completing sufficient research. In a desire to have something right away they select a design firm that will promise anything to get their business. This often produces a hollow website delivered well after what was promised and that only addresses surface needs such as a new look and feel. We are different in that we will be upfront and honest in what timeframes are possible and what to expect. We also believe in doing our homework in designing your site. You can expect some work as part of this process since nothing worthwhile comes without effort and since no one knows the ins and outs of your business as well as you do. With experience in marketing, web design, user interface design, and programming, we'll make sure your site makes sense where it matters most: producing results. We take pride in combining critical analysis, creative problem solving, and outstanding technical skills to craft a Web site that will help you succeed. Be honest, don't you want a site that results in more than just pretty pictures?